We take no short cuts as our boxes are hand nailed and our frames are nailed and glued. 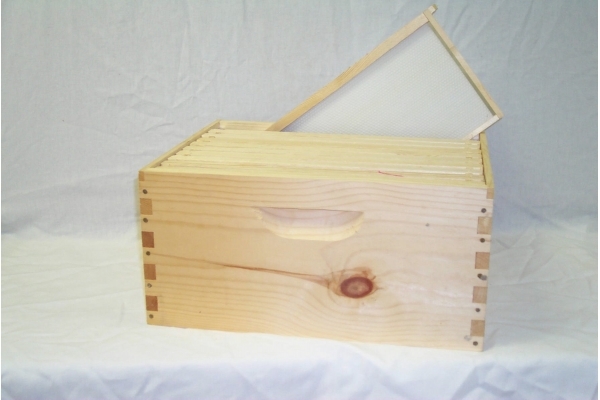 Includes commercial grade box and 10 frames with plastic ACORN foundation. Assembled and ready to paint! 18 lbs. 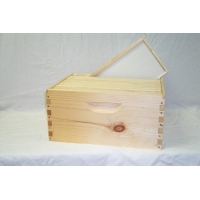 WE OFFER ASSEMBLED BOXES PAINTED AS WELL ADD $5.00 EACH PER PAINTED BOX. BEST PRICE ON ASSEMBLED PAINTED BOXES !